This is the collection of custom templates for File block. These templates enables to display file type icon, file type name, file size, file name, file description. 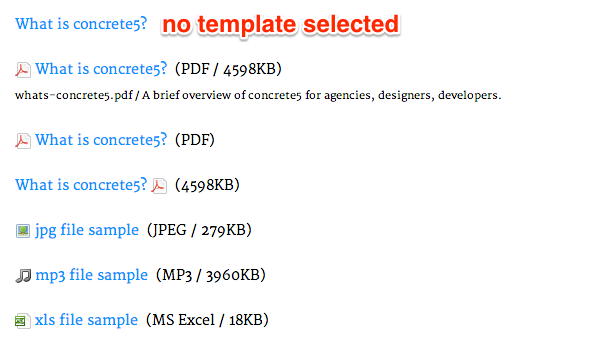 There are 10 templates to select what info you want to display about your file.